Brahmaatma ektva bodha is acausal. It does not occur because of something, so as to say, do this, do that, you will gain brahmaatma ekatva. What does the Sringeri mahaswami say below that ? arise merely by the control of activities of the mind. The same is true of the Saamkhya system propounded by the sage kapila. The samkhya system propounds the plurality of jivas. Nor can it arise by sacrificial activities described in the earlier portions of vedas. na vidyayaa: knowledge which relates to the several upasanas of the saguna brahman prescribed in the upanishads, even that will not lead to the realisation of kaivalya. Knowledge derived from yoga and saamkhya sutras relate only to a predicament of duality"
He says it, not me! why is he saying such a thing sir? See, we have to see things in perspective, this answer too, if the acharya is to a person, who questioned him, the swamiji has given a response based on the questioner's pakva, we do not know, in what perspective the questioner was. The important thing is to discern that we should not generalise. Infact, you will be clearly aware that Shankara himself would have spoken differently in different context. Swamiji, too has spoke differently in another context. Infact, to some devotee he told, keep off all the books and continue his upasana, do not bother about these. Udai, we need to see that brahmaatma ekatvaa is beyond rationalisation. For one may find his bread here, another may find his bread in something different alltogether. what does it mean in that sentence ? 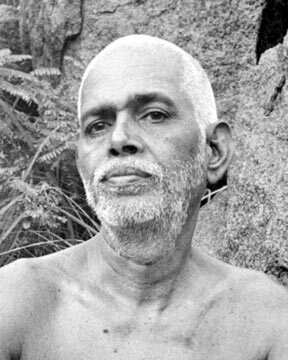 Bodha in this context, has to be understood as not 'knowing' or 'understanding' but bodha in this context means 'awakening' there are many meaning attached to the word 'bodha' Brahmaatma Ekatva' is not something that is understanding or knowing, it is awakening, which cannot be understood, or known, that is why even Bhagavan says, Just Be, he doesn't force say 'BE' why he says just be, as brahmaatma ekatvaa is acausal. What Bodha to be given to that which is itself Bodha? which is what is conveyed in the famous example, when the pot is broken the space is the pot merges with the space in the space, there is no merging, the pot was already in the space, can we now say, the space became aware of its space? "na yogena na saNkhyena karmaNaa no na vidyayaa" ? it simply says, brahmaatma ektva is acausal, it is not derived out of anything, it is inherent. Brahman is not something new that is to be gained. Understand what Bodha is in the righte context. Any commentary is written with an ideal disciple in mind. It need not be that everybody may be upto the mark of who Sri Swamiji has kept in mind. Show me a general commentary on scriptures where he said "bodha is not needed" ! Nowhere I have said bodha is not required, you do not seem to read with patience. you can imagine up things and twist the meanings if you want. see however what he is saying. It is as good as conversing to a wall, conversing with you, after all! What casualness, Udai? I am not going to point out the section what i have told. It is upto you. What do you expect? mind becomes pure the moment we trust it no more. will it take for the snake to die? No matter how much we may pacify ourselves with various jnana, death is something that will be the biggest challenge we will come across. More than the death of ones own self, it is the death of our loved ones, is the greatest challenge. Facing Truth actually gives sleepless nights. but only we try to escape it by jnana and bhakti. We are Helpless! We are Helpless! and We are Helpless! But again, the only safe haven is Bhakti and Jnana. Tonnes of knowledge will be of no help there, our faith will be tested so as to jump from the cliff. All that remains, are just memories, and all that is carried forward are memories, whether we Are or Not. start playing Thy music in our lives!